Ever wished your moisturizer did more? The Rose Gel Serum Moisturizer (30ml) is a serum and moisturizer hybrid that contains targeted active ingredients to smooth out pores and lines, brighten the complexion, and fade dark spots. The ultra light gel texture is absorbed instantly and never feels sticky. This is the ultimate moisturizer for achieving bright, glowy, and bouncy skin! You only need a pea-sized amount per use! Use it as a priming moisturizer in the morning before your makeup, and as a treatment at night with a quick face massage. Serving up my simple 5-step routine on this rainy Wednesday morning. Can you spot the new cleanser I've been trying? And, yes, sun screen is a must rain or shine. It's what I've learned from all the skincare articles I've been reading. I only started using it now that I'm 37 😂. Better late than never, right? . In order of use/application: - @cosrx Low pH Good Morning Gel Cleanser - @klairs.global Supple Preparation Unscented Toner - @inher_element Rose Gel Serum Moisturizer - IHE Triple Treat Eye Cream - @bioreph Aqua Rich Watery Essence SPF50. 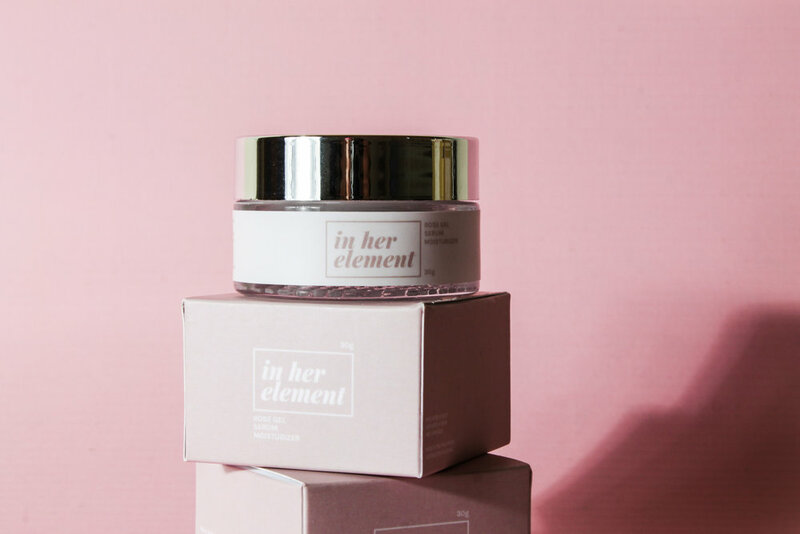 This Rose Serum Moisturizer from @inher_element, as the name suggests, works like a serum and a moisturizer. It goes deeply into the skin to hydrate and moisturize, and at the same time, nourish it. I noticed that it also preps the skin as it acts as a primer, making the skin smooth and soft and the pores appear smaller. Check out #InHerElement's IG and FB pages for more info! Soon on my channel!